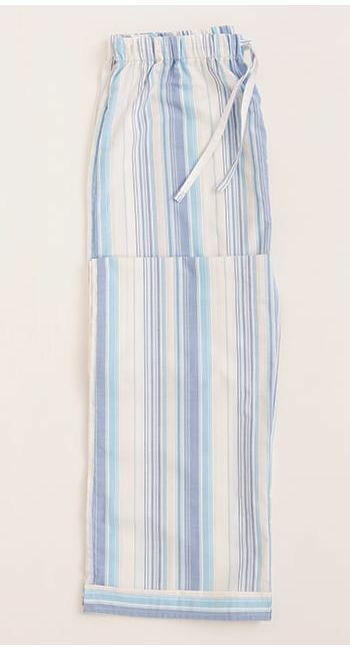 Summery pyjama bottoms in a fun blue and turquoise stripe. 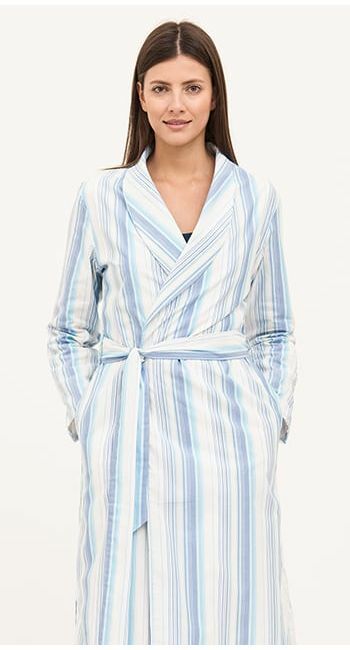 Perfect for the warmer weather or for those who prefer lighter weight cottons. These pj bottoms are available in all three of our leg lengths so no-one is missing out on these. 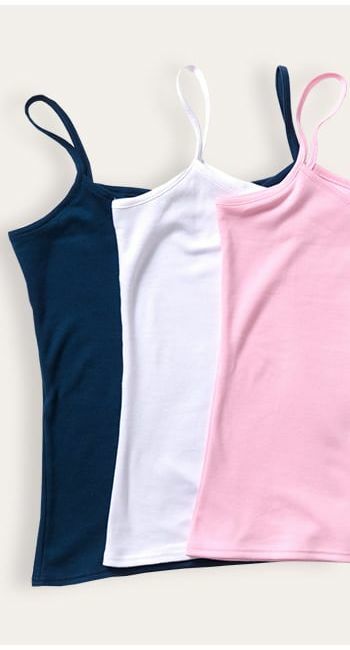 Pair them up with a navy or white cotton jersey vest. 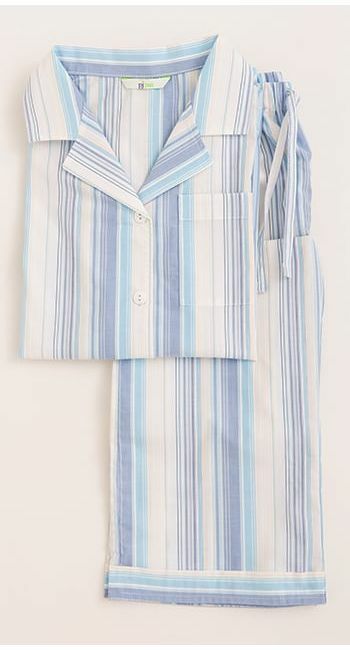 Matching pyjamas, dressing gown, nightshirt and shorts available.